OMG Posters! 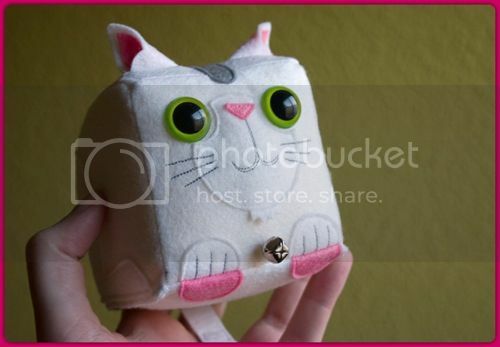 » Archive "CubeCats" Handmade Plush by Jorge Ortiz - OMG Posters! I LOVE these new plush “CubeCats” by Jorge Ortiz. These little guys are handmade, 4″ cubed, one-of-a-kind, limited t0 30, and cost €25 each. Visit his shop.